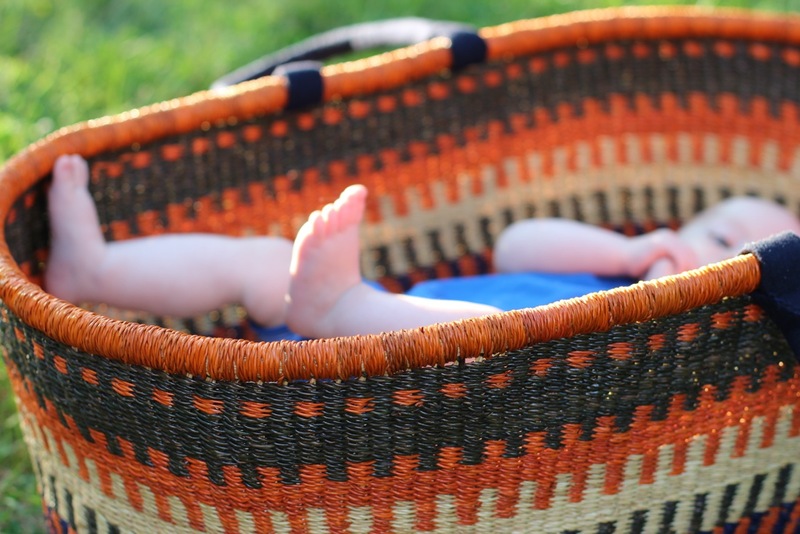 This Moses Basket, hand woven by Design Dua in Ghana, is simply beautiful. It would be a great shower gift, or a unique addition to your home if you are expecting a new baby, and it is also practical as well as pretty! Made by traditional craftspeople, this multifunctional item is really a work of art. Normally I’m not a big fan of Moses Baskets. They are big, bulky, and have a short shelf life, only lasting a few months until the baby has outgrown them. And since we are fans of co-sleeping, I don’t love investing in an item to be used so little. But let’s be honest, I can’t co-sleep all day (unfortunately), and in the heat of summer even baby carrier naps can be too sweaty, especially when I have a toddler to take care of. So I needed a safe ‘place’ to put Joseph for his frequent naps. 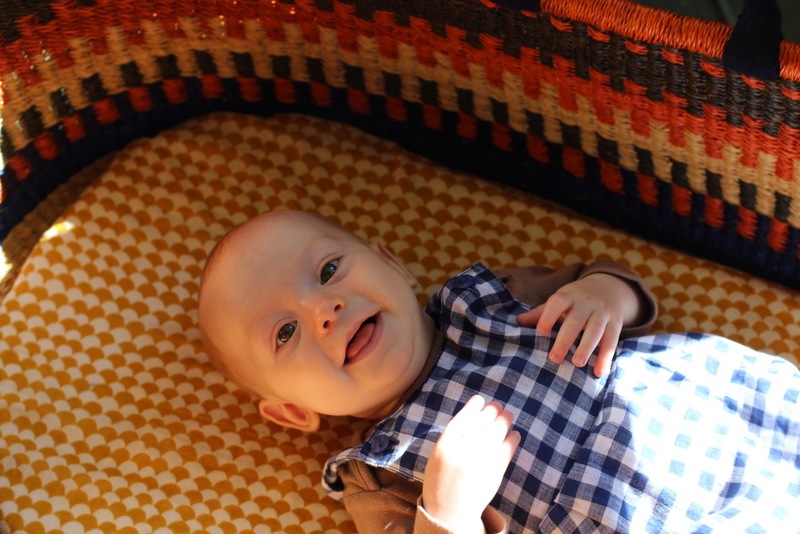 At the start of our summer stateside, I was lucky enough to use the Nap & Pack Basket from Design Dua (they ship worldwide). We brought it with us everywhere. It was great for napping and also for lazy afternoons on a shady picnic blanket while Beatrice and her friends played and ran nearby in the grass and swam in the lake. I’d carry it in and out of the rental cottage about 6 times a day. It was sturdy, strong, and easy to use. And if it got dirty, we could just wipe it clean. 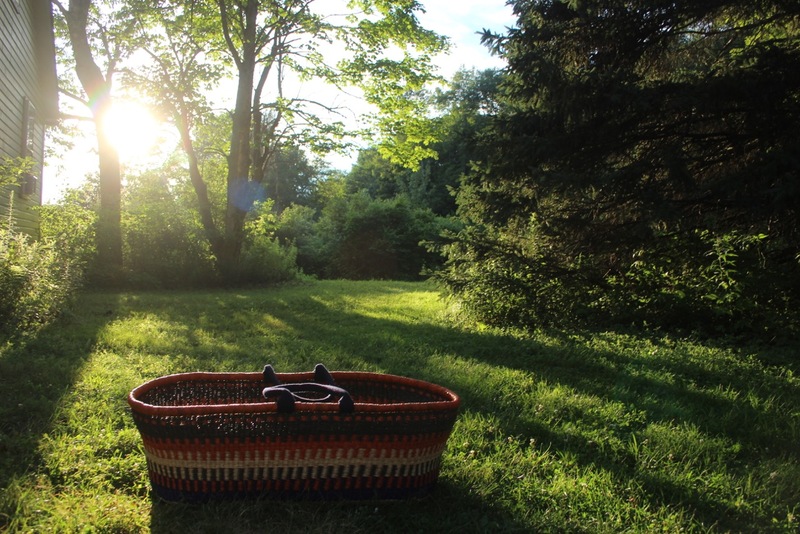 And every few days new friends would arrive to stay with us, and each would remark about how beautiful the basket was! 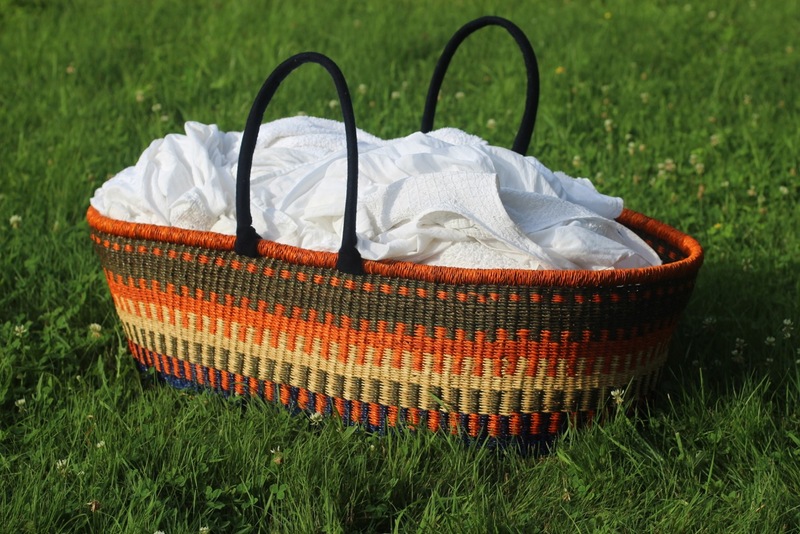 Design Dua are prolific in their colours and styles of baskets, including changing mats, laundry baskets, or, if you have any furry family members (of the canine variety) they make sleeping baskets for them too. And most importantly they support trade not aid, so it is a gift with heart. And as a special treat to Babyccino readers, they are treating us to a 15% discount with code babyccino off of their online shop on full priced items over $150 USD (or the equivalent) for the next week. Enjoy! What a beautiful little baby !!! 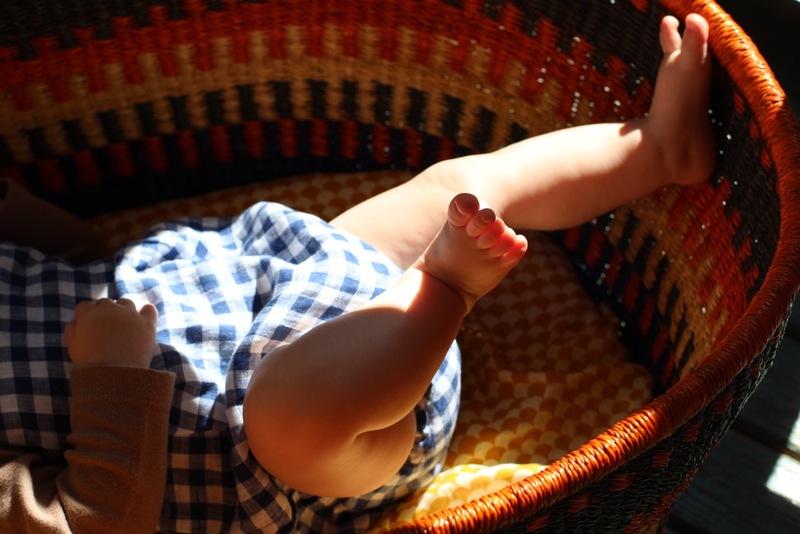 in a gorgeous basket – love that a future very pretty laundry basket will always be looked with fondness of memories of carrying your baby….